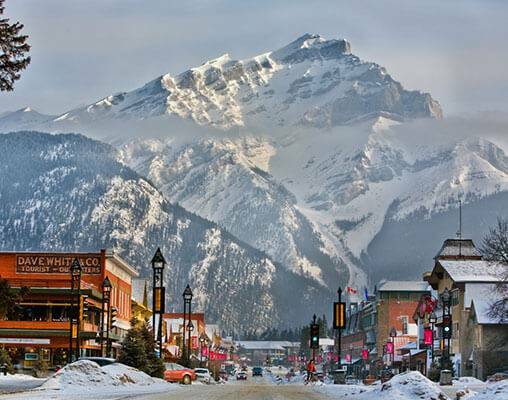 Stunning scenery and enchanting adventures await you on this marvelous Canadian Rockies winter tour. Save 10% per person on select 2020 Europe, South, and North America vacations booked through November 26, 2019. *Book and deposit a 2020 Europe, South or North America (excluding Cuba and 2020 Oberammergau) vacation to save 10% per person on the land-only portion of the core tour not including extra night accommodations, extensions, taxes, fees, tips or supplements. Booking must be made and under deposit between April 1, 2019 and November 26, 2019 for travel in 2020. Discount will apply to individual members of groups adding a name and non-refundable per person deposit WITHIN the promo window. Applies to new 2020 bookings only. Offer reliant on space availability. Full cancellation penalties will apply. Additional restrictions may apply. May be withdrawn any time. 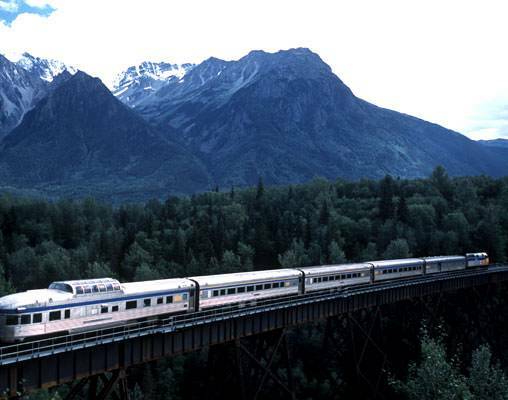 A tour highlight is an overnight journey on the VIA Rail The Canadian, one of the world’s most renowned trains. Watch for wildlife, such as moose, as well as frozen lakes, snowcapped mountains, and beautiful blue skies! You’ll also overnight at the historic Fairmont Jasper Park Lodge, a luxury lodge set in the beautiful wilderness; the Fairmont Chateau Lake Louise, a luxury hotel surrounded by majestic mountain peaks the gorgeous Victoria Glacier, and a beautiful frozen lake; and the Fairmont Banff Springs Hotel, built in 1888 and known as the "Castle of the Rockies." Throughout this Canadian Rockies tour, we've arranged some out-of-the-ordinary experiences for you. 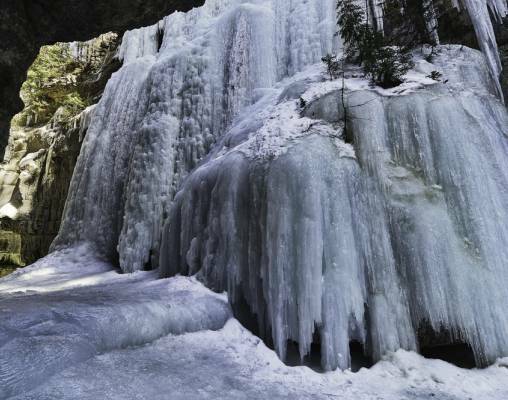 For example, in Jasper National Park, choose between an ice walk through Maligne Canyon or a guided wilderness safari. In Lake Louise, enjoy a horse-drawn sleigh ride as you take in the fresh air and marvel at the incredible mountain scenery. In Banff, a gondola ride to the top of Sulphur Mountain for breathtaking views. You'll also have time to explore these beautiful resorts on your own. In Jasper, perhaps snowshoe, browse the many shops, or relax in the hotel’s spa. 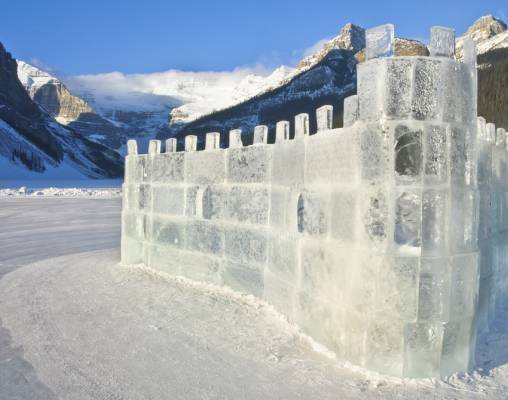 Perhaps try ice-skating, enjoy a snowmobile tour, cross-country ski, or just relax surrounded by Lake Louise's beauty. In Banff, you may want to enjoy Afternoon Tea at the hotel, visit one of the museums, or soak in the natural hot springs. Welcome to Vancouver! At 6 pm, meet your traveling companions for a welcome drink. Your Tour Director will prepare you for your upcoming adventure. Overnight Vancouver. 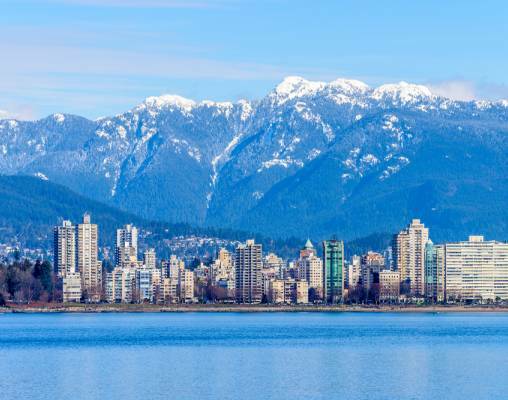 Nestled on Vancouver's harbour and offering stunning water-views of Stanley Park, coastal mountains and sparkling city skyline, Fairmont Waterfront truly embodies relaxed West Coast luxury. This 4 Diamond urban retreat features spacious and renovated guest rooms and suites including an exclusive concierge level, Fairmont Gold. Enjoy the convenient central location steps from Canada Place Cruise Ship Terminal, Stanley Park Seawall, historic Gastown and Canada Line Skytrain with quaint shops, galleries and trendy eateries all nearby. Relax pool side, explore the hotel's unique rooftop herb garden and honeybee apiary and dine in ARC to sample local and seasonally inspired cuisine. The Lodge has an outdoor pool, hot tub, tennis courts, fitness center, spa, golf course, fishing, bicycling, jogging trails, game room, concierge service, business center, gift shops, several restaurants, lounges, and room service. The Chateau has an indoor pool, hot tub, fitness center, spa, game room, horseback riding stables, concierge service, gift shops, business center, several restaurants, lounge, room service, and Afternoon Tea. 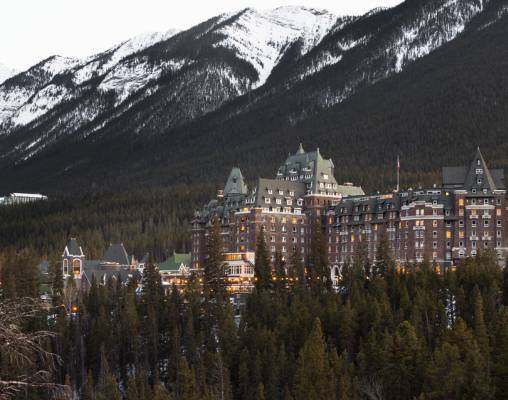 For over a century, "The Castle in the Rockies" has been providing luxury in the heart of the Canadian Rockies. 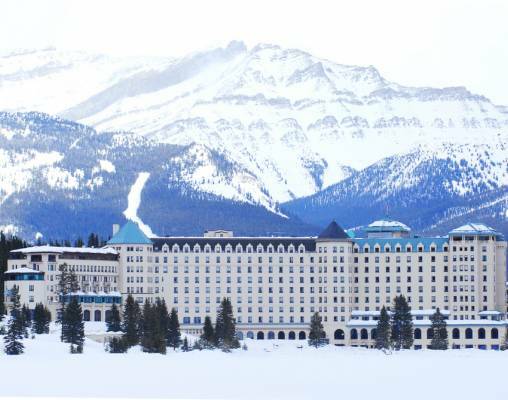 This historic hotel is located in Banff National Park, a UNESCO World Heritage Site. The hotel offers several restaurant choices as well as relaxing lounges, Afternoon Tea, and room service. The property has a 27-hole golf course, spa, tennis courts, indoor and outdoor pool, hot tub, horseback riding, business center, gift shops, convenience store, and concierge service. Click here to view testimonials for Canadian Rockies Winter Adventure. The tour was well organized. Our tour guide was fabulous! He was also well organized, very informative, and clearly enjoyed what he was doing. He is from the area so he was a wealth of information. Enter your details below if you would like to be notified when 2021 dates and prices are available for Canadian Rockies Winter Adventure. Prices are correct at the time of publication, however are subject to change at time of booking. Hotel and Rail accommodations listed above, are subject to change based on availability at the time of booking. Any applicable GST/HST taxes are additional. Prices are land-only, per person based on double occupancy.